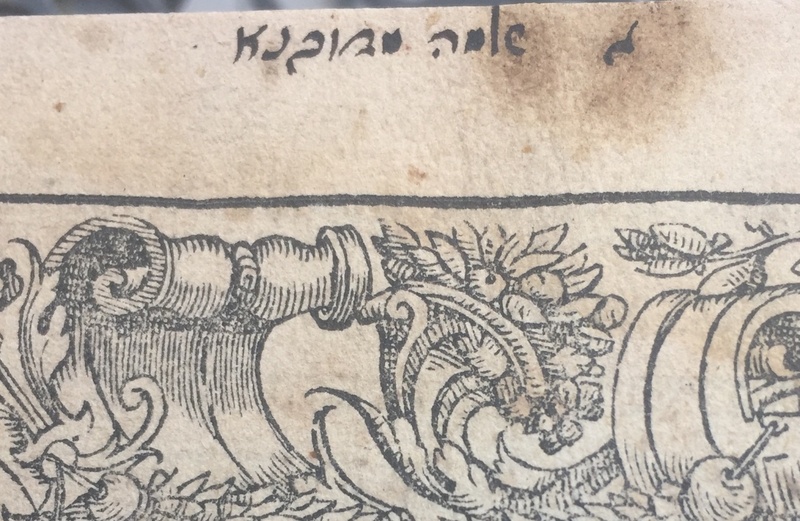 One of the first Hebrew books ever printed was Ralbag’s commentary on the Torah, published in Mantua in 1477. 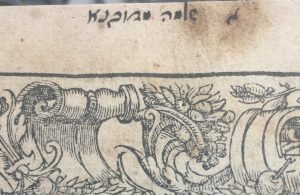 It was printed again in Pesaro in 1514 and next in Venice in 1547. 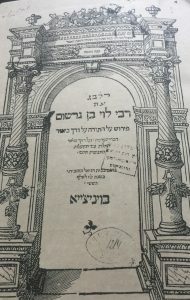 Rabbi Levi ben Gershom (Ralbag or Gersonides) was born in southern France in 1288 and died in 1344. He is considered to be one of the greatest Jewish philosophers of the middle ages and his commentaries on the Bible are studied until today. I own the 1547 Venice edition. Solomon was born in Dubno, which at the time was in the the Austro-Hungarian Empire province of Galicia. He had a traditional heder education and became very interested in Hebrew grammar. He moved to Amsterdam in 1767 and there became associated with some of the early proponents of the Haskalah. This led him to move to Berlin. 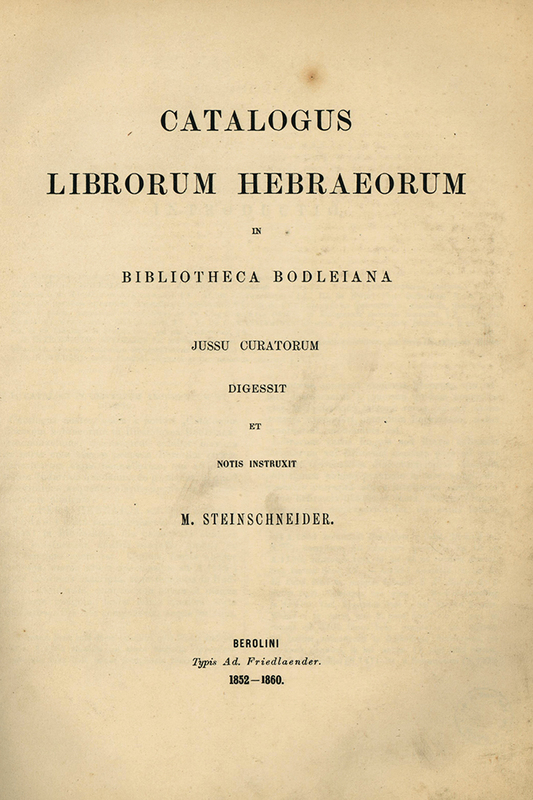 He suggested to Moses Mendelssohn that along with the translation of the Humash into German, there should also be a commentary in Hebrew called a Biur. 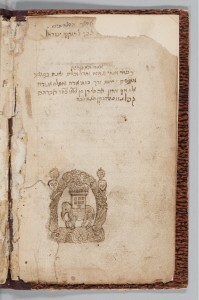 He is credited with authorship of the book of Bereshit in the Biur. 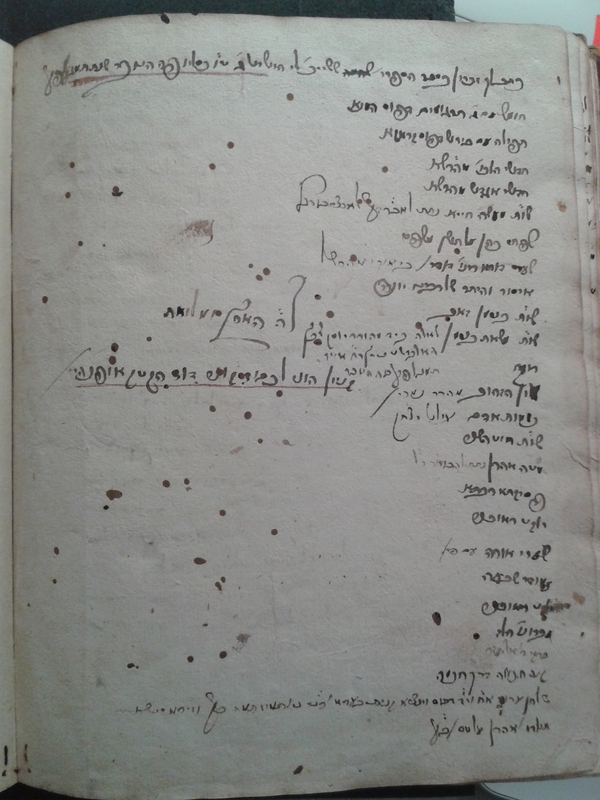 Shlomo MiDubno moved around quite a bit during his life, and I am particularly interested in his time in Amsterdam. It was in Amsterdam that he started his lifelong activity of book collecting. 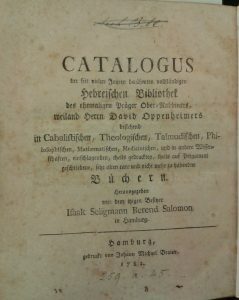 By 1771, he already had a collection of over 350 books. He left Amsterdam in 1772 but returned there towards the end of his life. He made a living there by lending out his books for a fee. 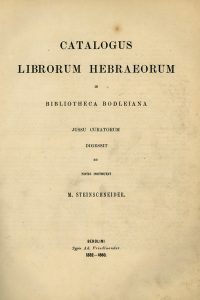 A year after he died, in 1814, a list was published of all the books he owned. 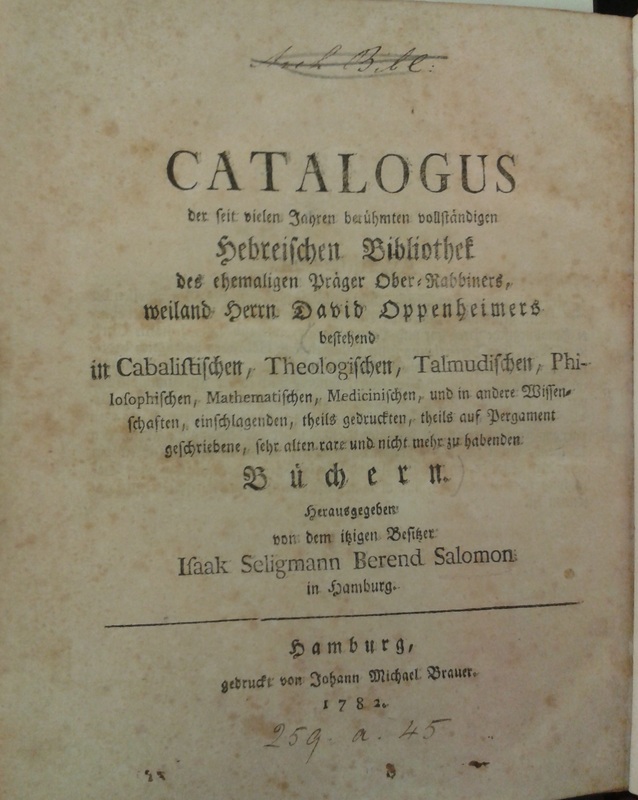 The total came to over 2,000 books and more than 100 manuscripts. It is thrilling to me to know that this book was part of that collection. The next known owner lived across the Atlantic, in the Bensonhurst neighborhood of Brooklyn. The ownership stamp is quite clear. 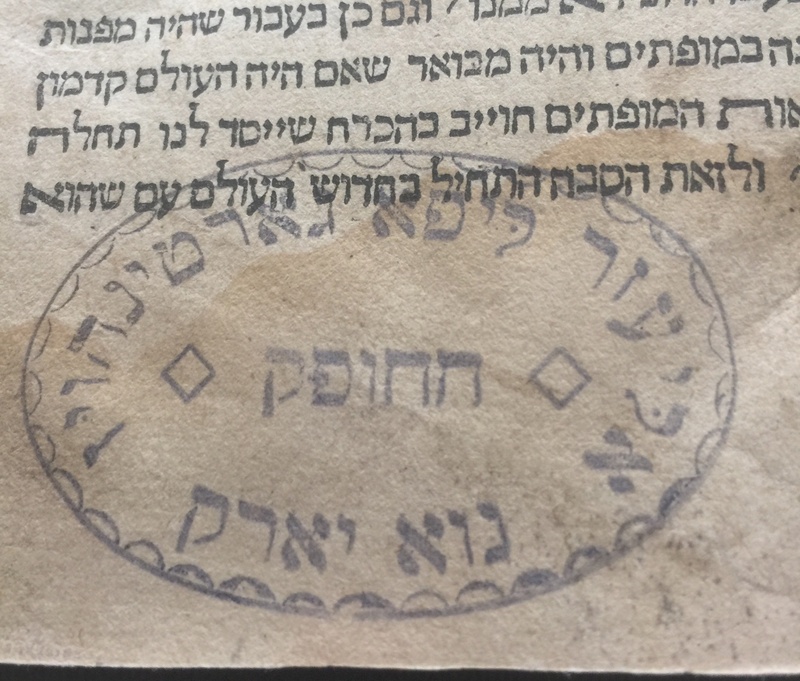 The stamp tells us that the book belonged to “Eliezer Lipa Gartenhaus who lives here in New York”. Rabbi Eliezer Lipa Gartenhaus came to America in the 1920’s and lived in Brooklyn. He was a renowned Talmud Hakham and was married to the daughter of the Kapitzhnitzer Rebbe, Rabbi Avraham Yeshoshua Heschel. His son-in-law was Rabbi Moshe Kulefsky, who later became the Rosh ha-Yeshiva of Ner Israel Rabbinical College in Baltimore. Rabbi Gartnehaus published a book in 1958 called “Eshel Gedolim”. 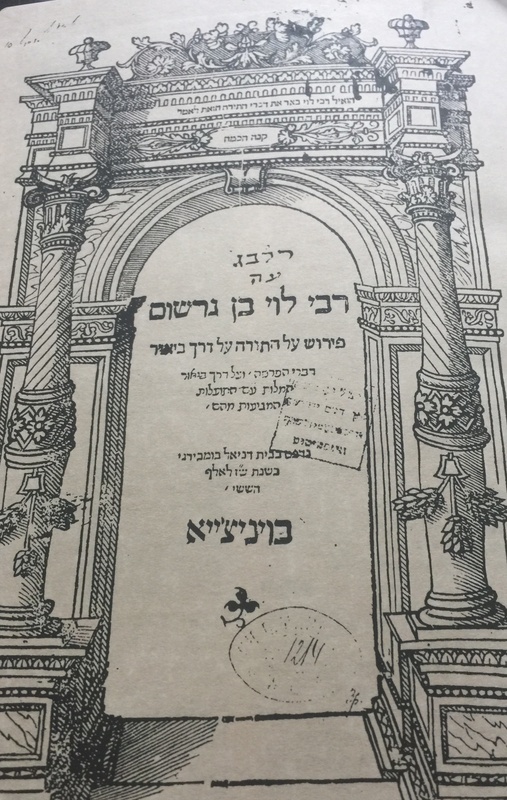 It is a commentary and expansion of the HIDA’s (Rabbi Haim Yosef Dovid Azulai) book “Shem ha-Gedolim”. Because it was written so close to the end of the Holocaust, Rabbi Eliezer Lipa devoted many pages in his preface to mourning the Holocaust in Europe. He came to America before the war, but most of his family didn’t make it. 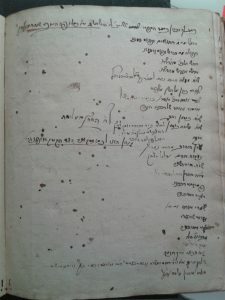 The list of his martyred relatives is two pages long. At present, the book resides in the Seattle area, which did not exist as a city when the book was printed in Venice, nor when it was owned by Solomon Dubno in Amsterdam. 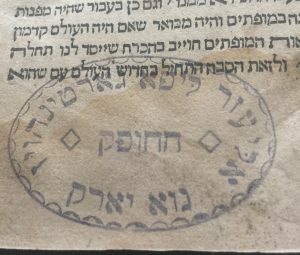 Postscript: After sending this post to us, Eli noted another footprint from Shlomo mi-Dubno’s library, in a book sold at auction in Jerusalem this week!